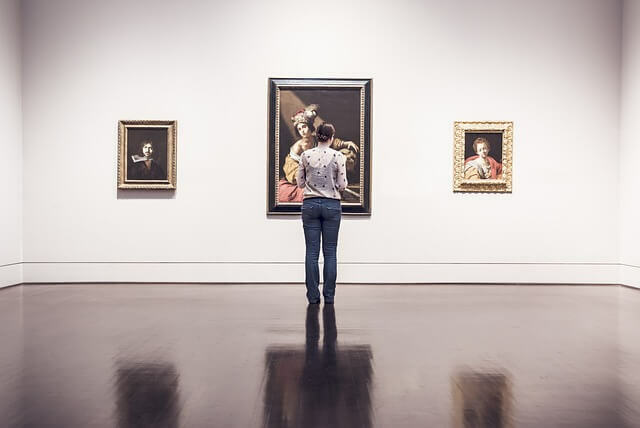 Whether you have a priceless piece of artwork based on the monetary value, or a painting that is priceless for sentimental reasons, your paintings deserve special care while on display in your home. It is important to know how to care for artwork. Here’s what you need to know about everyday care of your artwork. You should always wear a clean pair of lightweight gloves when you handle your paintings. No matter how clean your hands are, the oils from your skin can stain and damage the paint and canvas. Gloves should be worn when hanging, cleaning, and moving your paintings. Also remove all jewelry or clothing with sharp zippers or buttons as they could scratch the canvas. When you handle or move the piece, always handle by grasping both sides of the frame, rather than by the top of the frame, to ensure the integrity of the structure isn’t compromised. Resist handling more than one painting at a time, regardless of the size, to reduce the chance of dropping one or inflicting damage from contact with other paintings. Never lean the canvas against something, especially something with a pointed edge, which could stretch or puncture the canvas. Either lean it against a wall or face up on a table. First, depending on the weight of the painting, make sure you have selected a wall that can support the weight of the art. Heavy pieces should be hung from wood studs behind drywall or plaster and preferably have more than one anchor point to more evenly distribute the weight. Sturdy wire strung between two eyehooks mounted on the back of the wood frame is the ideal setup and especially helpful to keep your painting straight without having to be precise with the nail or screw placement on the wall. If you are hanging a lightweight painting directly onto drywall with no wood anchor point, ensure the wall is structurally sound without patched areas that could break away. Use special drywall anchors and screws to provide extra support. Be careful when displaying artwork on freestanding easels: make sure they are out of the way of a traffic pattern and the easel is structurally sound. Lastly, hang the painting out of reach of children and pets. This includes art pieces that are hung over couches that put them within reach of little hands and wagging tails. Take special care when hanging art over a sitting area or bed and consider not only the damage to the painting, but also to the surface and people below that could be injured by a fallen painting. You should clean your paintings at least twice per year or more as needed. Cleaning will typically only include a light dusting and inspection for deterioration. Before you dust your painting, make sure there is no flaking paint. If you do see flaking, take it to an art restoration company to repair and stop the flaking before damage develops. Many artists will give their oil paintings a coat of varnish to extend the life of the paint. If your piece has not been protected with varnish, you can request this service from the artist or an art restoration service. 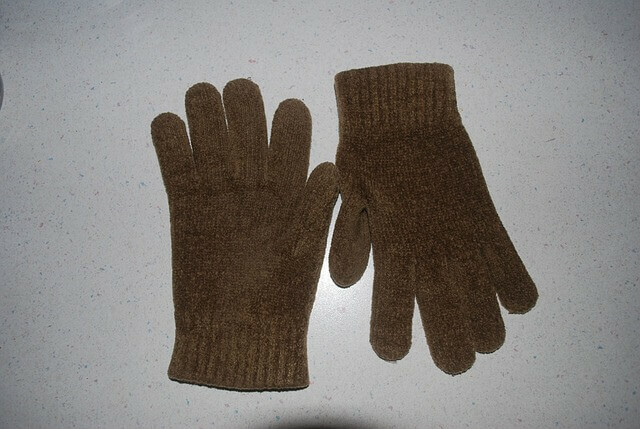 Take precautions by wearing clean gloves and remove your jewelry before dusting. Remove the painting from the wall and move to a clean flat surface, such as a table. Tilt the painting forward over the flat surface so the dust falls away from the canvas as you clean it. Dust your paintings with a very soft dry cloth or clean painter’s brush. 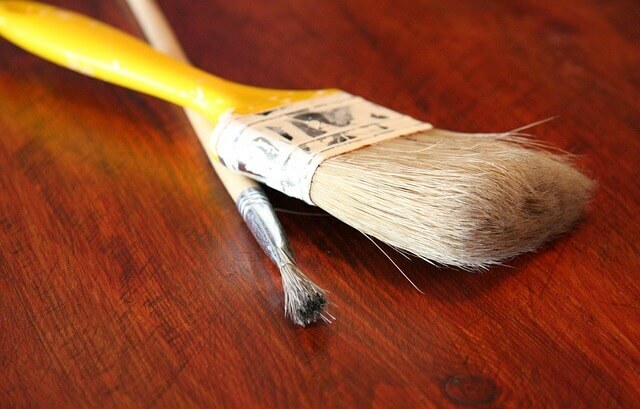 Do not use a feather duster as they can leave behind fibers on the canvas. Avoid using household cleaners on or around the painting; this includes glass cleaner and wood polish. To further protect the painting, you may opt to have it framed under glass. 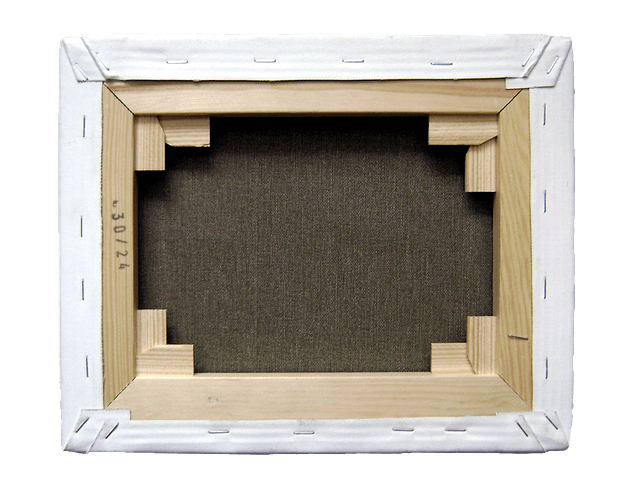 The canvas must not directly touch the glass sheet protecting it, so the framer will add a decorative matte to act as a spacer between the canvas and glass. Just because your painting is protected under glass doesn’t mean you can forgo climate control storage. Paintings stored under glass are especially vulnerable to moisture accumulation due to the reduced air flow. If you need to clean the glass, never spray cleaner directly onto the glass. If using glass cleaner, spray a small amount on a soft cloth, then wipe the glass clean. Better yet, try black and white newspaper, which cleans glass without streaking and without glass cleaner. Plus, it’s recyclable! No matter if you are displaying your artwork or storing it, climate matters. Extreme temperatures such as heat and cold, ongoing temperature fluctuations, and moisture and humidity can all have detrimental effects on your paintings. Choose a space on the wall that does not have direct sunlight exposure at any point in the day. Depending on the ceiling lights, you’ll want a minimum of 10 feet from high wattage lights that can produce higher temperatures. Avoid hanging your paintings above or below heat or cooling sources such as air conditioning units, radiators, fireplaces and air vents. Never store your paintings in an attic space, basement or garage unless they are precisely climate controlled. If there is not an area in your home or business to properly store your paintings, find a storage facility near you that offers climate controlled storage units within the interior of the building. When storing artwork, take special precautions to protect the pieces during the move and their time in storage. You can learn more about proper care of paintings during moves and while in storage in our article How to Pack Art and Paintings When You Move. EZ Storage offers climate controlled storage in Framingham and Newton. You can also find supplies such as bubble wrap, packing paper and boxes to properly prepare your paintings for moving and storage. Check out our latest storage deal or learn more about our climate controlled storage for your paintings here.